This is an overall photo of the courtyard ceremony site as a bride and groom are getting married in front of all the family and friends on a nice spring day. The whole ceremony site is just to die for at this location. 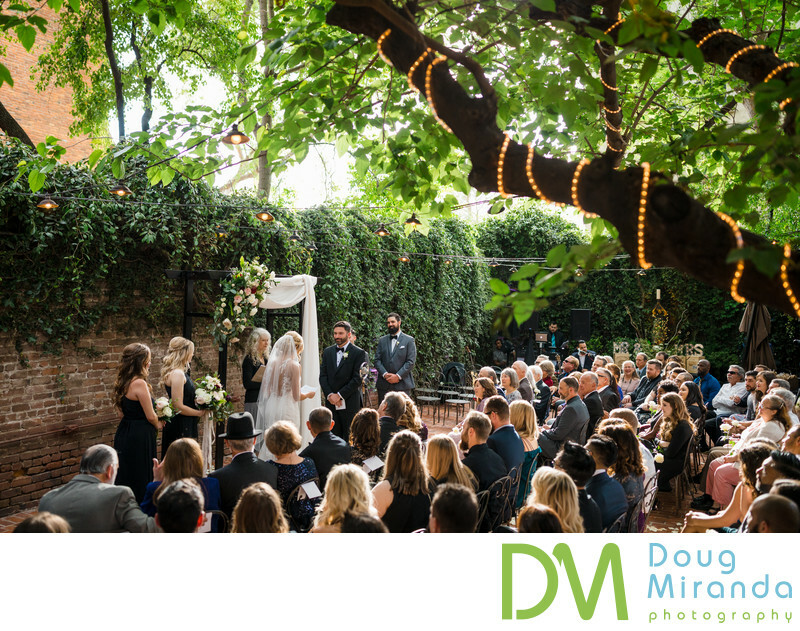 It is truly a one of a kind venue for Sacramento and you will find nothing like it in the city or surrounding areas. It just has the charming old time feel to it and makes you feel giddy inside. Without a doubt one of the top five ceremony locations in the city.